The Financial Controller and Marketing Manager of an Audio-Visual Accessory manufacturer and distributor needed their web store orders instantly visible in ERP and CRM for improved customer service, efficient order processing and same-day shipping. They needed a robust solution that integrates customers, products, prices, inventory, quotes, sales orders and invoices across their MYOB EXO ERP, Dynamics CRM and Magento web stores in US, Canada and Australia. 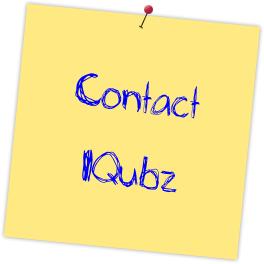 They contacted IQubz, Scribe Elite Partner and Dynamics CRM Certified Partner, for Magento MYOB EXO Dynamics CRM integration development. This cleverly-designed integration minimized the need for an intricate customization of Magento with the seamless handling of B2C and B2B web customers, i.e. consumers and re-sellers. Fully-automated, fail-safe, always-on data integration developed for three mission-critical systems keeps the information continuously in sync across Magento Ecommerce, MYOB EXO (Exonet) ERP and Dynamics CRM. The solution is developed using Microsoft SQL Server and Scribe Software technologies. Marketing Integration: Opt-in/opt-out preferences for marketing communications – email, direct mail, newsletters, etc. With information originating in multiple systems, client needed a solution providing consistent visibility to this information from all systems. The solution provides users of CRM and MYOB EXO immediate visibility to the online orders placed in Magento. This universal access to the latest information allows client’s sales and service personnel to assist their customers more efficiently. With customers’ contact details and their marketing preferences automatically updated in CRM, Atdec can manage their marketing campaigns from CRM in a unified manner. In addition to customers and orders, the integration keeps products, stock levels and price lists maintained in MYOB EXO continuously in sync in Dynamics CRM and Magento. This ensures that the latest information is presented to customers, dealers and salespeople at all times.